The underworld of New York City is ruled by the Mafia. Her greed is without limits: Drugs, prostitution, fraud and corruption – the Cosa Nostra has a finger in the pie everywhere. But behind the scenes the crime families are involved in a merciless power struggle. If it is for the hunt of real big money, no one of the big bosses will stay behind. 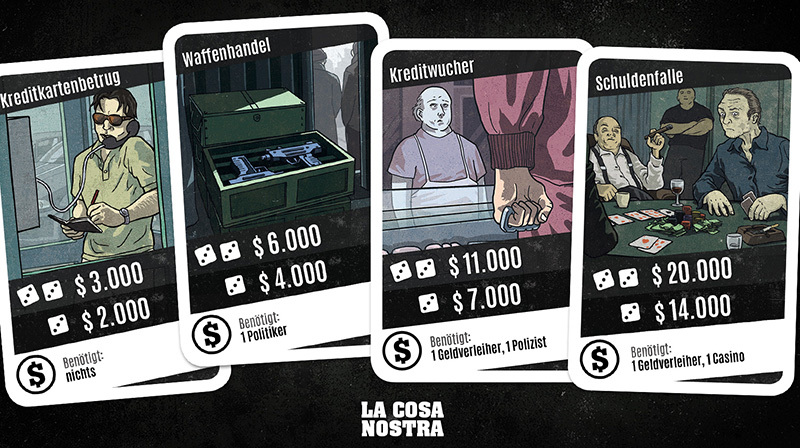 La Cosa Nostra is a tough, thrilling, interactive game about power and cash. Providing a deep theme experience it leads you down into the dark world of modern mafia stories. 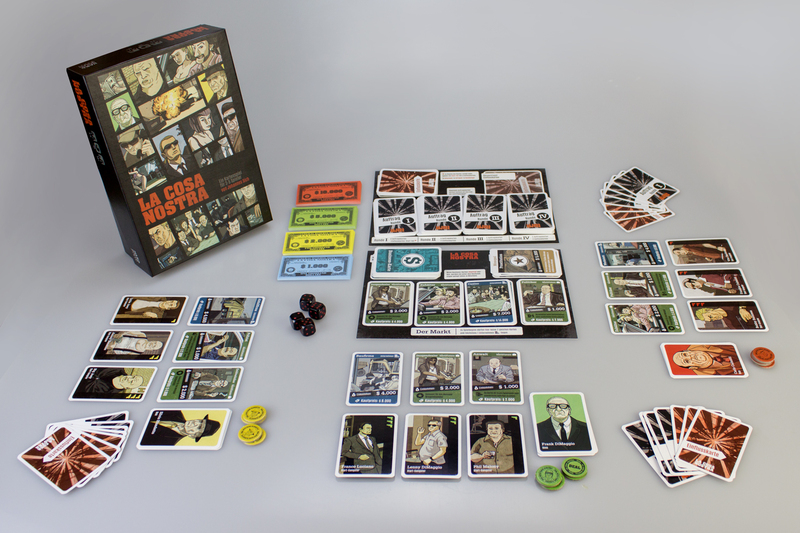 You are the boss –build up your gangster empire and enter the dark world of mafia bosses, pacts, pledges – and backstabbing. 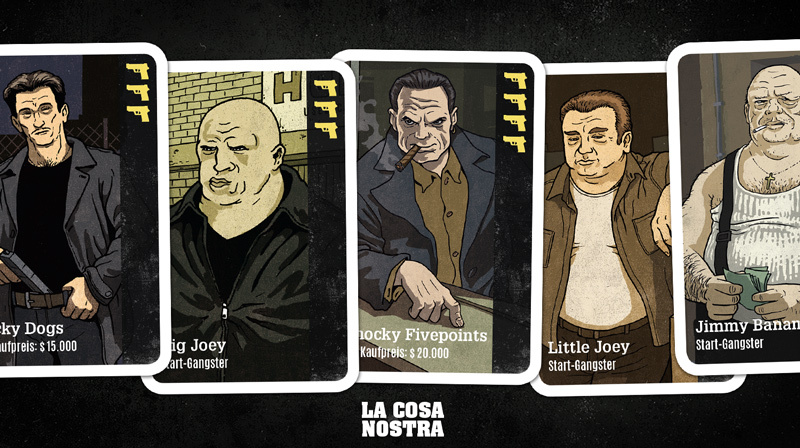 To stay informed, sign up for our newsletter or follow us on Facebook or Instagram..
Each player controls Gangster Cards gangster cards that serve for performing action cards to either gain money or attack other players. Actions are planned secretly, placed face down and then played in turn. Often you need certain business cards to succeed. If you don’t own them yourself, you can negotiate deals with the other players. The players bargain, spy, threaten and deceive each other. 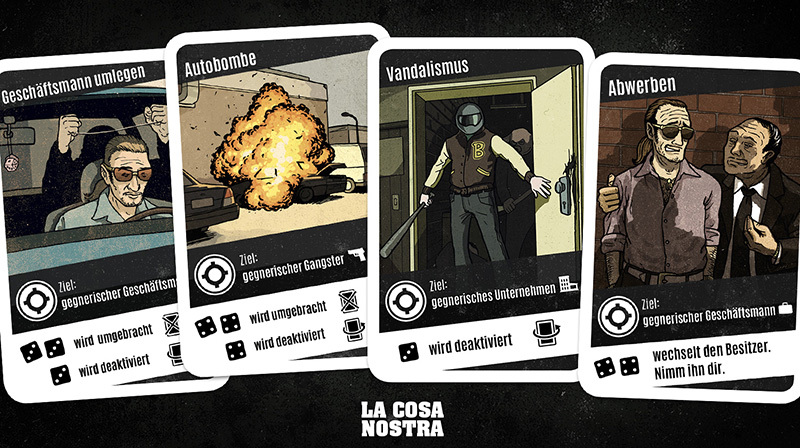 Each of four game rounds brings new action cards and the number of gangsters increases. Thus, the possibilities for actions become more diverse, the jobs more profitable, the attacks more powerful. Cooperation gets more attractive and treason alluring. Cause at the end of the day it’s only the money that counts. 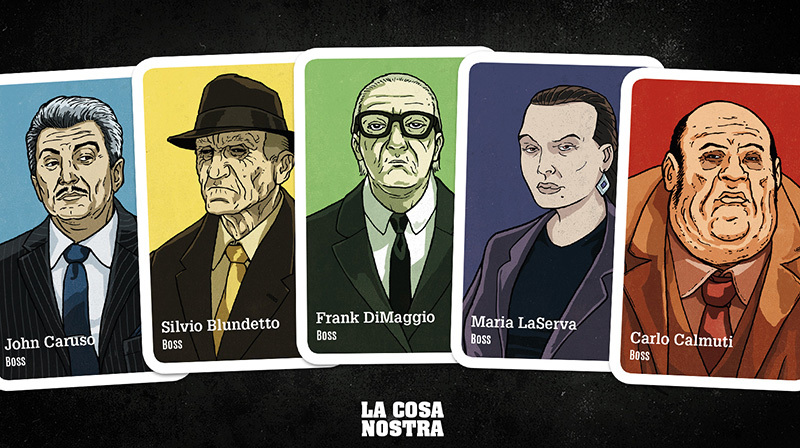 In La Cosa Nostra, you take on the role of a mafia boss. In the beginning, you control a crew of gangsters and a couple of businesses. 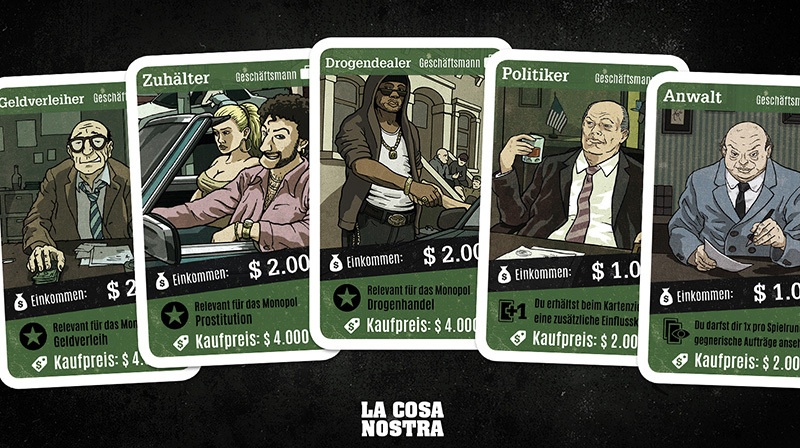 During the game, you will hire new gangsters to do the dirty work and collect your money. Investments lead to new lines of business or monopoly positions: take control of the drug dealing, moneylending or prostitution. Bribe politicians and cops, invest your money in night clubs, casinos or the waste management industry. To get the big deals you often need to cooperate with the other families. And of course they want to get their piece of the action.